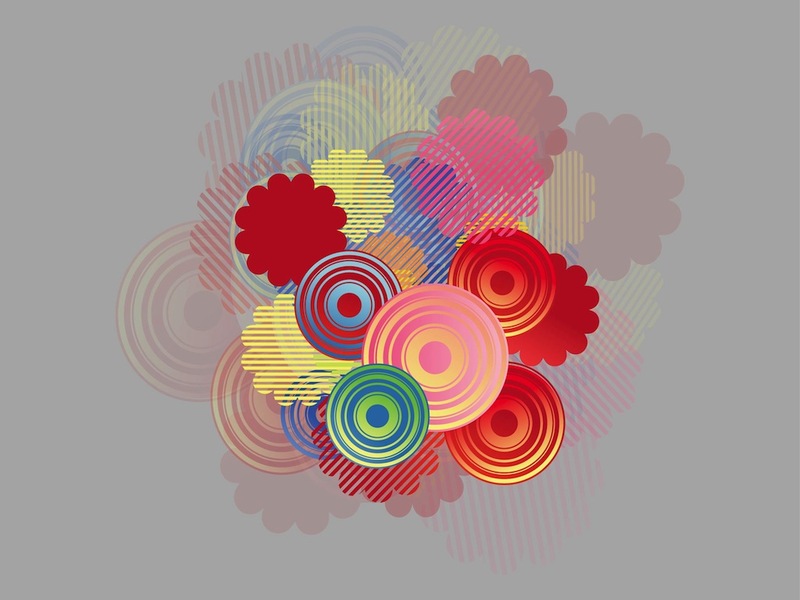 Vector graphics of a colorful layout with flowers and geometric shapes in many different colors. Solid color outlines of flowers with rounded petals and striped versions of the same shapes. Concentric circles in bright shades. Free vector graphics for all T-shirt prints, greeting cards and stickers projects. Tags: Circles, Colorful, Colors, Decorations, Flowers, Geometric Shapes.